Regular fusion surgery, considered “open” surgery, is far more invasive than multi-level disc replacement surgery. Even when discs need to be replaced at more than one level, the procedure is still less invasive, especially when it comes to limiting muscle disruption. Since muscles won’t have to move out the way as much, there’s likely to be less post-operative pain and healing time is significantly reduced. Additionally, patients needing surgery at multiple levels can undergo all necessary replacement surgeries at one time. Understandably, most patients want to preserve range of motion as much as possible, especially when there’s disc damage at multiple levels. At the same time, it should be noted that not all patients are ideal candidates for either a single or multiple disc replacement. For instance, patients with spondylolisthesis (one bone slides over the other) tend to do better with fusion surgery rather than disc replacement. 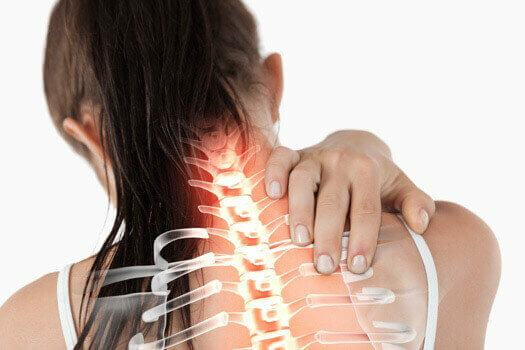 Patients with degenerative discs at one or more levels, however, tend to be ideal candidates for the procedure. Overall patient health is also a factor that’s considered with disc replacement at multiple levels. While the research on artificial disc replacement surgery is encouraging, there’s not a lot of published research on multi-level disc replacement. According to one analysis, however, disc replacement at multiple levels is about half the cost of traditional fusion surgery. Another informal study reports a higher level of patient satisfaction with the outcome of disc replacement surgery. If you are living with a back or neck condition that requires artificial disc replacement at multiple levels, learn more about your options by scheduling an in-person appointment with Dr. Hyun W. Bae, Medical Director of The Spine Institute Center for Spinal Restoration. He is a trusted spinal surgeon who specializes in minimally invasive and motion-preserving spine surgeries. Call (310) 828-7757 and request your consultation today.